We are a dedicated team which strives to provide success to our clients in regards to all their accountancy needs. Our team is very close-knit and ensures that unified support is provided to you whenever you need it. With expertise covering all aspects of accountancy, taxation and business advisory services, we are well placed to take a holistic view to plan for the future as well dealing with specific matters. 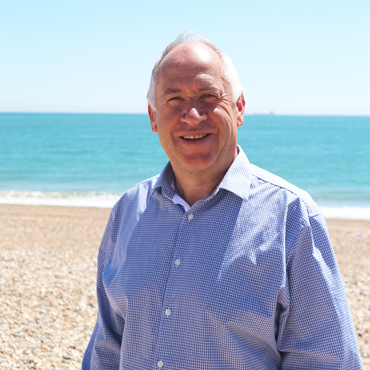 Peter qualified in 1984 and started the business in 1989 after leaving Moores Rowland, a top 20 National firm of accountants based in Brighton. His role as the LLP Managing Partner is to ensure that the firm continues to look forward to offering clients top quality business advice from top quality ACCA qualified staff. Peter’s business and tax experience mean that he is often involved with ‘exceptions’ and ‘one-off’ situations such as Tax Enquiries, company sales or acquisitions, as well as tax saving opportunities. Peter lives on Shoreham Beach with his family and enjoys polishing his car & motorboat. He still plays 5 a side football and watches Chelsea. Qualifications: FCCA, QuickBooks Online Advanced Pro-Advisor. 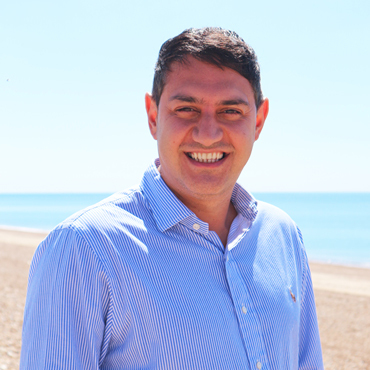 Kayvan joined the business in 2003 as an ACCA student and after qualifying as a chartered certified accountant he became a partner in 2013. He now manages a portfolio of clients as well as overseeing the work of all the portfolio managers. Kayvan also acts as Finance Partner for the LLP. Kayvan specialises in advising incorporated and unincorporated owner managed businesses ensuring that they remain accounting and tax compliant whilst looking at ways to save tax and improve profits. He stands in the North Stand at the Amex and is a lifelong Seagulls fan. 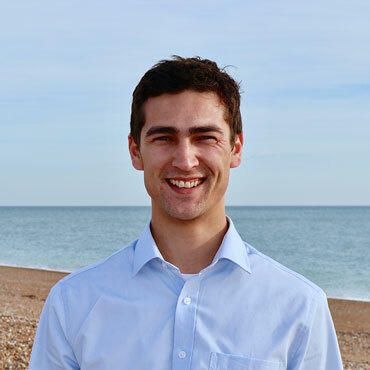 He has a keen business interest in Brighton’s digital media scene while his interest in sports including rugby, cricket and golf are reflected in the business clients that he advises. Qualifications: FCCA, QuickBooks Online Advanced Pro-Advisor, Xero certified advisor. Katie is a fully qualified ACCA accountant and joined PJCO in May 2016. She has over 10 year’s experience in the industry and also worked in another accountancy practice for four years prior to joining PJCO. She brings a wealth of knowledge and insight broadening our knowledge base in the firm. As a Client Portfolio Manager her role includes dealing with limited companies, corporation tax, VAT, sole trader and partnership accounts plus personal tax. She is always ready to help and chat about any issues or assistance a client may need. Katie enjoys spending time with her family, trips away and attempting to match the great bakes on the “Great British Bake Off”, with some success and some bakes not to be mentioned. Sophie has recently completed our ACCA Accountants Graduate Trainee programme and has become a fully qualified Chartered Certified Accountant. 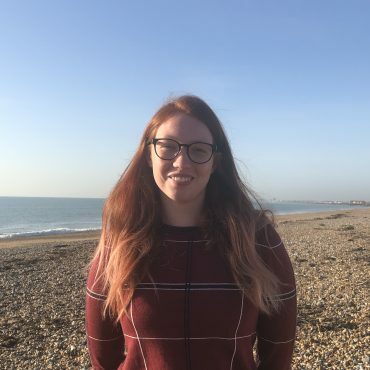 Sophie joined the firm in 2015 after finishing her degree in Mathematics at the University of Brighton and moving back to her hometown of Arundel. She became a Client Portfolio Manager in early 2017. Her role includes dealing with limited companies, corporation tax, VAT, sole trader and partnership accounts plus personal tax. She is an avid traveller and loves exploring new places and cultures. She enjoys being outdoors whether it’s going for walks or pursuing more adventurous activities on her travels, such as scuba diving, flying and white water rafting. Sophie likes to keep fit, regularly visiting the gym and taking part in classes. Selda originates from Turkey and completed her ACCA training at PJCO where she qualified as an ACCA accountant in 2011. Selda has over 17 year’s experience within the practice. Selda deals with the accounting, tax and compliance matters for a portfolio of clients including limited companies, corporate tax, personal tax, VAT and marketing. Selda’s interests include playing tennis, travel, photography, foreign languages and cultures. Selda is currently learning Italian and trying to grow an olive grove and a small vineyard in Tuscany. Rowan is our Head of Technology, helping clients to utilise the very best in cloud technology to automate and streamline processes for small businesses. He is one of the country’s leading specialists in QuickBooks Online and integrated apps and sits on the UK QuickBooks Accountant Council as an adviser. Originally from Norwich, Rowan co-founded Norwich FoodHub, a Community Interest Company that collects and redistributes food that would otherwise be wasted by supermarkets. Since forming in 2016 the organisation has saved over 20 tonnes of food. As a lifelong Norwich City supporter Rowan still makes it back to Norfolk to watch them play some weekends, as well as keeping fit, going to music festivals and enjoying a night out with mates. Qualifications: ACCA Qualified, 1st Class BSc Accounting & Finance, QuickBooks Online Advanced Pro-Advisor, Futrli Certified Advisor. Daniel joined our team back in April 2016 and prides himself on being a specialist in Payroll and Automatic Enrolment. He also produces dividend documentation for most of our clients. Daniel is an expert in the payroll software we use called ‘Brightpay’ and is responsible for the majority of the client’s weekly/2-weekly/4-weekly and monthly payroll processing. He ensures accordance with HMRC via Real Time Information (RTI) and that all clients get the correct payroll information, on time. Daniel also is an expert with the workplace pension provider we use called ‘NEST’ and is responsible for the majority of the client’s automatic enrolment duties. He ensures all clients comply with automatic enrolment alongside processing the correct pension contributions and payments to NEST. He is training towards a ‘Foundation Degree in Payroll Management’ through the Chartered Institute of Payroll Professionals (CIPP). He is keen to help any new clients with their payroll and automatic enrolment requirements. Outside of work; Daniel lives in Shoreham, enjoys playing football and has been a Brighton season ticket holder since 2009. Jake works as a Client Portfolio Manager having worked his way up through the PJCO Graduate Training program, joining in early 2016 after gaining a 1st Class Degree in Mathematics from Greenwich University. He assists a range of clients with their accounts, tax returns, VAT’s and other compliance as required. Keen attention to detail and a strong maths background, Jake is exceptional in finding issues and fixing them. Jake comes from Worthing and is a keen cinema goer, enjoying nothing more than to put his unlimited cinema pass to good use with an entertaining film and a nice meal out. 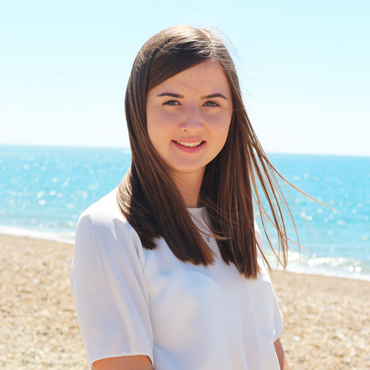 Abbie joined us in the summer of 2016, after graduating from the University of Sussex with a degree in history, and is part of our ACCA Accountant Graduate Training Programme. She is now looking after a portfolio of clients dealing with limited companies, corporation tax, VAT, sole trade and personal tax. Abbie lives locally and loves socialising with her family and friends. She enjoys visiting different cities with New York being her favourite so far. She is also keeping fit by running! Qualifications: History BA (Hons). QuickBooks Online Advanced Pro-Advisor. Emily joined us as a Trainee Accountant to study towards the ACCA Accountants Graduate Training Programme and is now the manager of our cloud department here at PJCO. Her job role includes migrating clients from other accounting packages, training clients on QuickBooks Online as well as ongoing support and guidance assisting with businesses with day to day queries on the software. She also specialises in applications that integrate into QuickBooks Online speeding up clients bookkeeping processes such as point of sale systems and the e-commerce sector. She has also played an integral part in helping PJCO win QuickBooks Firm of the Future and is a regular contributor to the QuickBooks Community online forum answering questions and offering advice. Her background is predominantly in the travel industry and she used to fly as cabin crew for Virgin Atlantic. 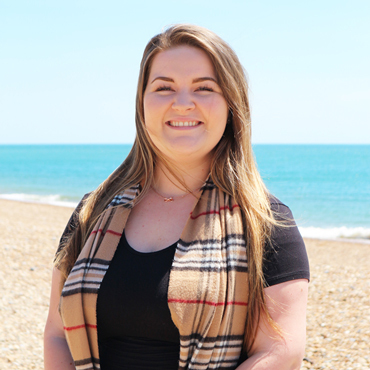 Emily lives in Peacehaven and loves exploring new places. 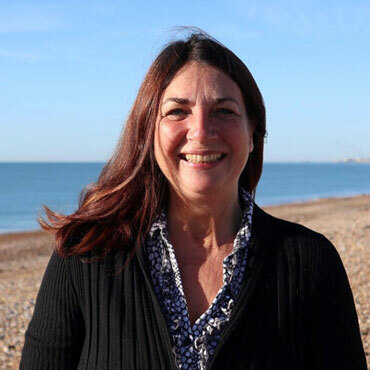 She also likes meeting new people as well as reading, shopping, riding her bike along Brighton seafront and spending time with her cat Elvis. Qualifications: QuickBooks Online Advanced Pro-Advisor. 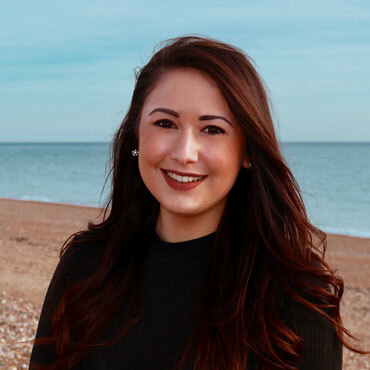 Chloe is now a Senior Associate Accountant assisting Kayvan with his portfolio of clients; working with VAT, CIS, accounts and bookkeeping amongst other duties. 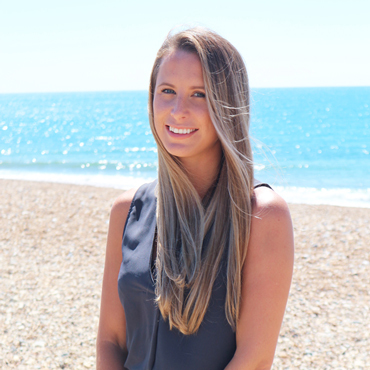 In addition, whilst working with us Chloe has worked towards and achieved the QuickBooks Online Advanced Pro-Advisor qualification. 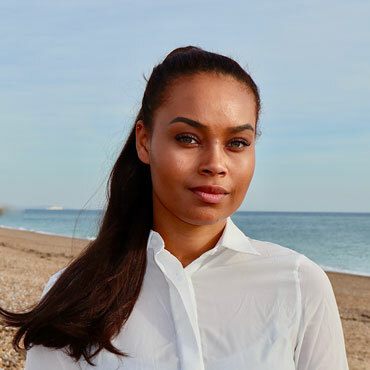 Chloe joined us in October 2017 to study towards the ACCA Graduate Training Programme, after graduating from the University of Kent with a 2:1 in English Literature and Film in July of the same year. Outside of the office, Chloe enjoys a regular trip to the cinema and investing time in a good book; despite doing a degree these things are still hobbies! 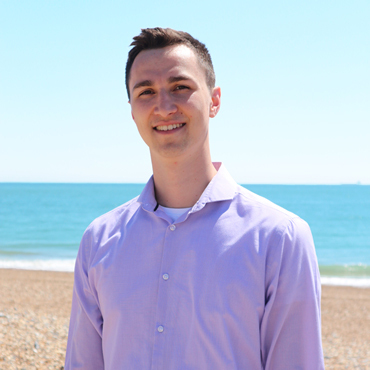 Matt joined the graduate ACCA training program in 2018 after graduating from the University of Portsmouth with First class honours in Accounting with Finance. Working alongside the portfolio managers and other graduates, Matt will be looking to build on his existing tax and accountancy knowledge, work towards becoming fully qualified and eventually manage his own portfolio of clients. 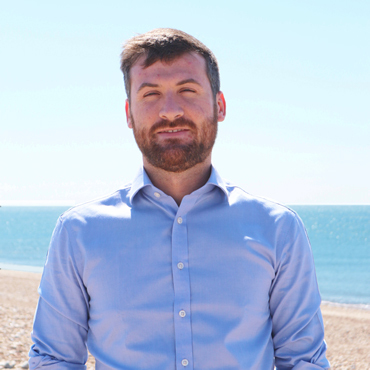 Matt lives in Worthing and enjoys keeping fit whether that’s venturing out on his road bike or going for a run along Worthing beach. He loves to travel and has been to numerous places in both Europe and America and one day hopes to travel around Asia. Amy joined our ACCA Graduate Accountant Training Program in 2018. 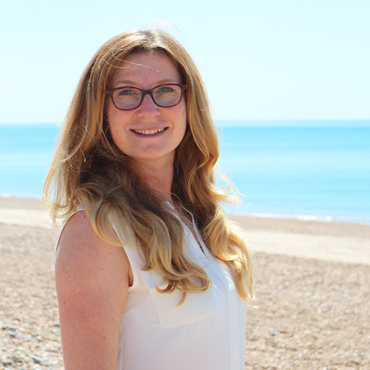 During Amy’s time at PJCO, she will be gaining relevant tax knowledge, working to build a portfolio of clients and studying to become a fully qualified Chartered Accountant. Amy studied Accountancy and Finance at Southampton Solent University and graduated in July 2017 with a 2:1. She decided to continue with her studies after gaining a years’ experience as a Purchase and Sales Ledger Analyst. Amy lives in Horsham and enjoys exercising regularly, socialising with friends, and trying out new places. George joined the ACCA graduate training programme in October 2018 and will be assisting Jake with his portfolio of clients. He graduated from Southampton Solent University achieving a 2:1 in International Business Management. He also spent a year overseas studying at The Hague University of Applied Sciences on ERASMUS exchange. George is a Shoreham-By-Sea local but has spent many years living abroad in Spain, The Netherlands and Australia. He is fluent in Spanish and his interests include travelling, live music and adding to his record collection. Qualifications: BA (Hons) International Business Management, Quickbooks Online Advanced Pro-Advisor. Isabella joined the ACCA Graduate Accountant Training Programme in October 2018. Isabella will be assisting with a portfolio of clients, involving confirmation statements, payroll and personal tax returns. She graduated in July 2018 with a 2:1 in Psychology with Forensic Psychology from Goldsmiths, University of London. 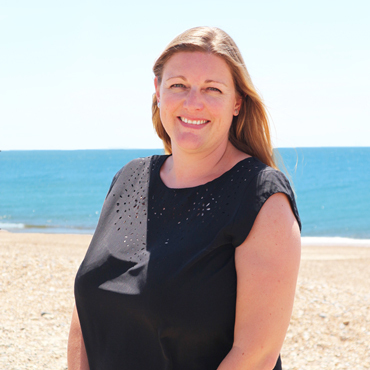 Isabella currently lives in Peacehaven and enjoys playing golf, shopping, going to the gym and travelling. Qualifications: BSc (Hons) Psychology with Forensic Psychology. Donna joined us in 2018 from a background in Administration and Practice Management, she brings with her a wealth of experience in Administration from a varied background, most recently in Accountancy. Donna will be helping to implement changes in our systems with the use of new technology and focusing on consolidating and streamlining the way we work in order to support and improve our overall efficiency. Donna lives locally and enjoys camping in her 1972 VW ‘Dafi’ and socialising with friends and family. Richard recently started at Chichester college studying the AAT Level 2 Foundation Diploma in Accounting and Business. Richard is looking to gain as much experience as possible to ensure he secures a thorough understanding of accounting ready to work his way up to become an ACCA chartered and certified accountant alongside the rest of the team here at PJCO. Richard lives in Findon Village and enjoys keeping fit, often by utilizing the vast countryside to go for walks or mountain biking with his friends. He also enjoys travelling having been to various places already such as Florida and Italy and looks forward to going to even more in the future. Disney has joined us as head of marketing, she will be keeping us up to date on our website, social media and helping to advertise the business. Disney also works as a graphic designer for local youth charity ESTEEM. Out of the office she enjoys spending time with her pugs, working on her photography and going to the cinema but prefers to be wrapped up in bed with a cup of tea. David Logan of TAG Tax and heads up our tax technical team. David has over 25 years of wide-ranging tax experience and is a Chartered Tax Adviser (“CTA”) with the Chartered Institute of Taxation. David spent over 14 years with the Big 4 firm working specialising in Corporate Tax dealing with both national and international companies and groups. David also spent 3 years with mid-tier firm heading up a tax team in a regional office dealing with both corporate and personal tax matters for owner managed businesses. This enabled David to gain valuable experience in managing Director/Shareholder issues for owner managed businesses. Simon is retained as a consultant and offers systems-based solutions to clients. Nick is our independent mortgage and Insurance adviser and his company Private Premier Finance based in Haywards Heath, offering our clients the best available on the market at no fee.